Curves Ahead! | Coweta, OK | Sabra Morrow-Rhodes, D.C.
Spinal curves allow the spine to support 10 times more weight than it could if it were straight. The spine delivers these benefits through its spinal curves. 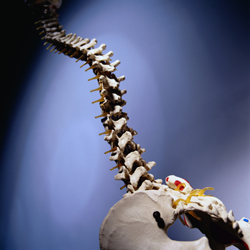 During embryonic development, the spine has only one curve, called a kyphotic curve. Later, as a baby begins to experience significant motor development, such as sitting, crawling and walking, muscles begin to develop. As these muscles strengthen, they cause the formation of secondary curves, called lordotic curves. These curves are important because they allow the spine to support 10 times more weight than it could if it were straight. This is why it is important to follow the procedures for proper lifting. If you bend at the waist to pick something up, the spine straightens, putting you at far greater risk for injury than if you bend at the knees, maintaining the spinal curves, when lifting.